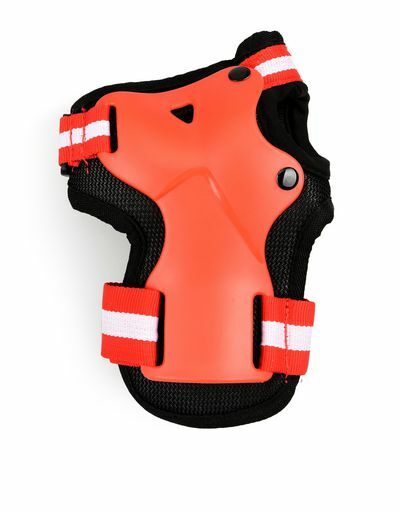 Designed for skating, this safety kit for children aged 3 to 6 years old can also be used as protection when cycling and is suitable for many other sports. 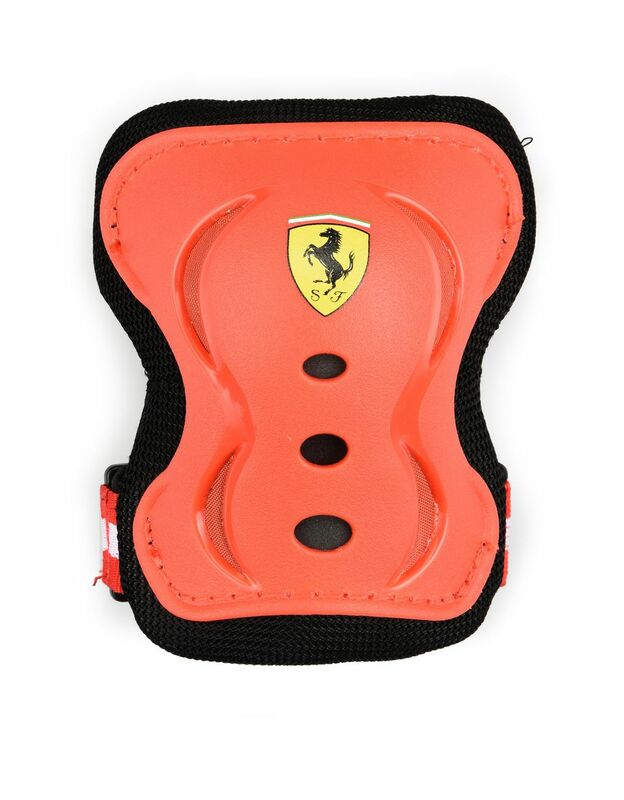 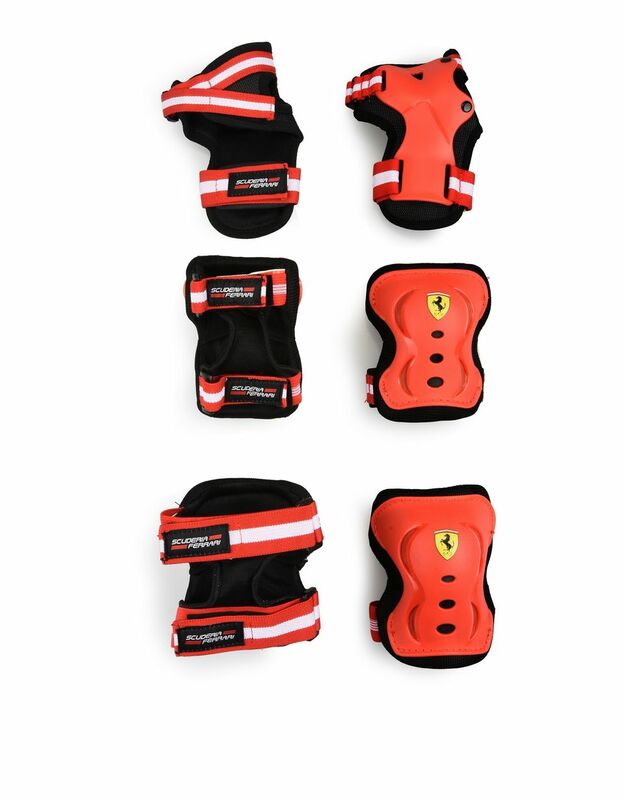 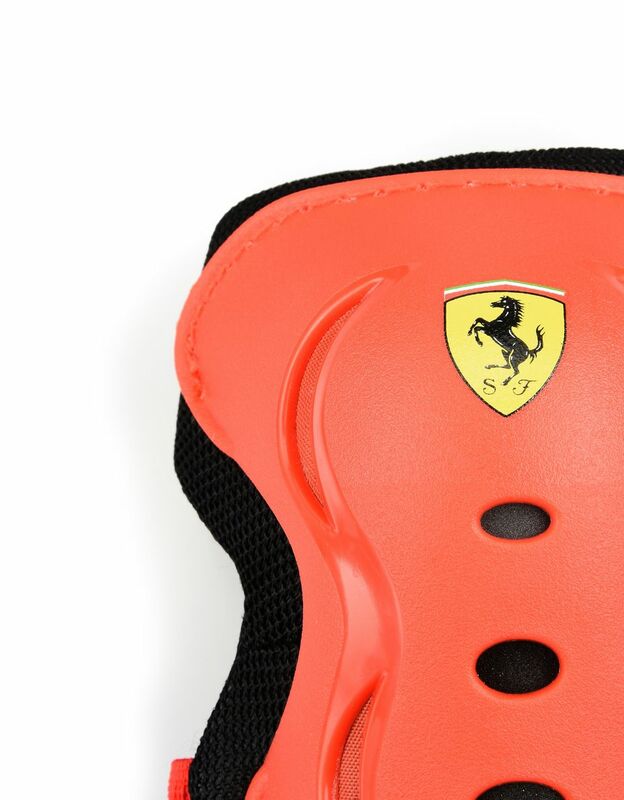 This kit is designed for the most adventurous young Scuderia Ferrari fans and includes two knee pads, two elbow pads and two wrist cuffs personalized with the Shield. Equipped with practical adjustable Velcro fasteners, these accessories are a must to have fun doing sport in complete safety.